Paula Davila Pérez obtained her degree in Medicine and Surgery from the University of Santiago de Compostela in Galicia, Spain in 2007. Later, she completed her residency in 2013 in Clinical Neurophysiology in the Hospital of Bellvitge affiliated with the University of Barcelona. Soon after finishing her residency, Paula joined Berenson-Allen Center (BACNBS) at Harvard Medical School (HMS) as a research fellow in May 2013. 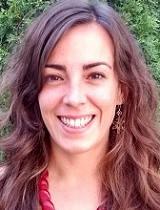 In November 2014 Paula started her doctoral thesis supervised by Dr. Pascual-Leone (BACNBS – HMS) and Dr. Javier Cudeiro (University of A Coruña – UDC). Paula’s research is focused in brain plasticity and the influence of static magnetic and electromagnetic fields in neural networks and brain excitability. She is interested in better understanding brain mechanisms underlying cortical plasticity changes and motor and cognitive deterioration of neurodegenerative diseases. Paula works with transcraneal magnetic stimulation (TMS) and electroencephalography (EEG) in order to potentially establish biomarkers for this kind of diseases. Paula also studies brain inhibition and facilitation balances and plasticity changes in chronic neuropathic pain in order to deepen in the knowledge of physiopathological changes in neural networks and find potential treatments.